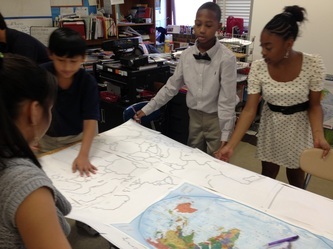 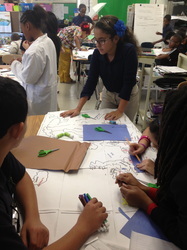 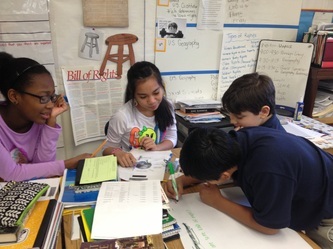 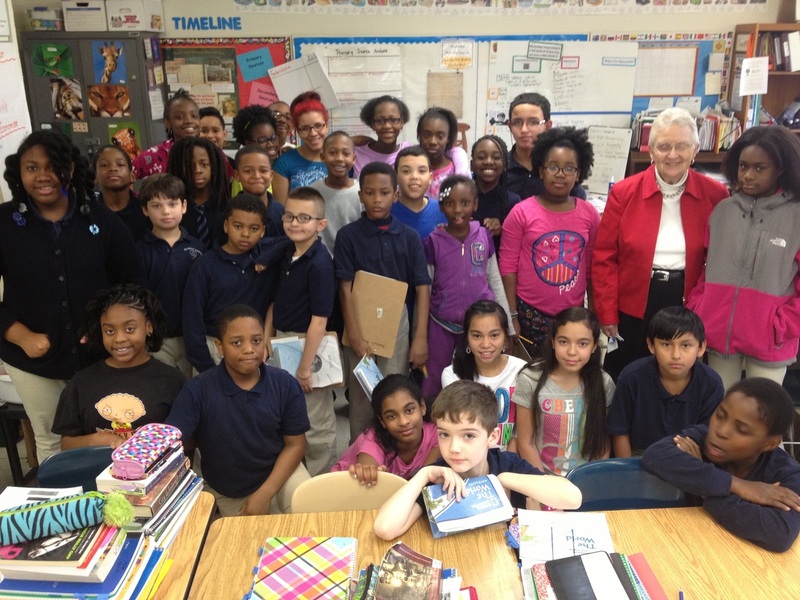 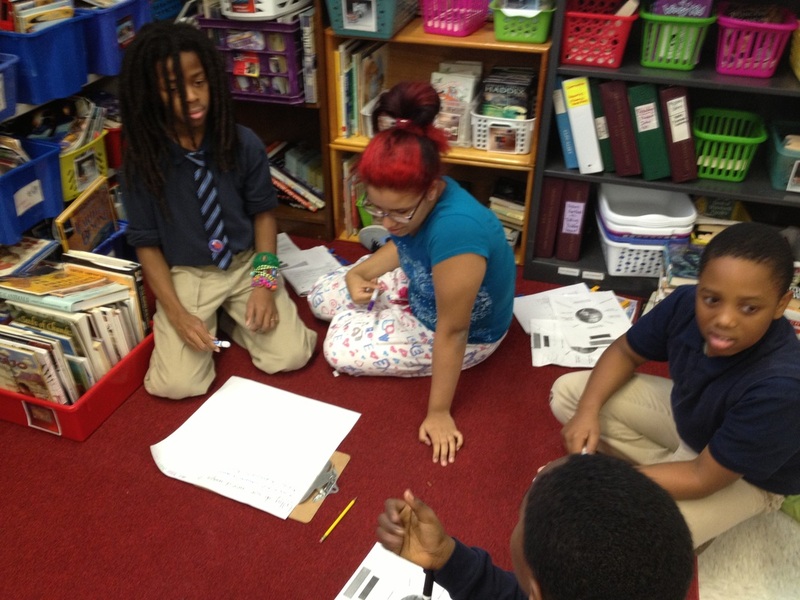 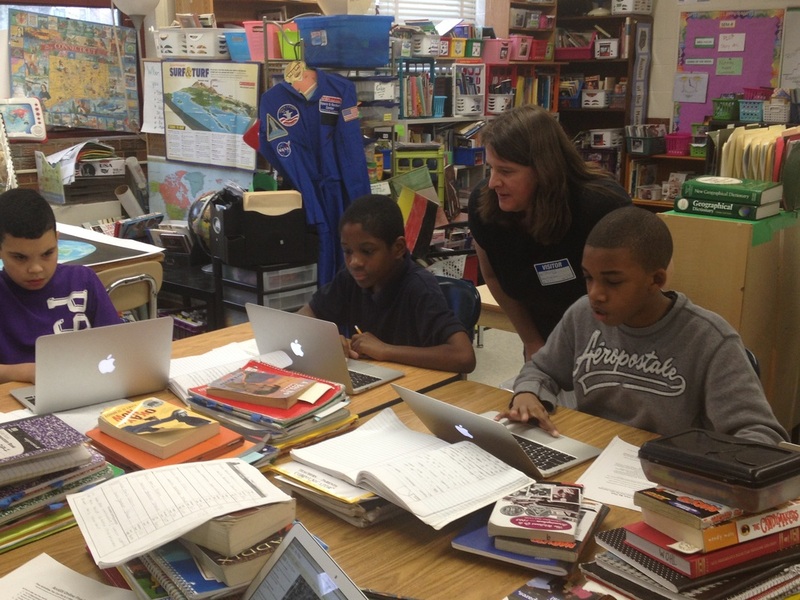 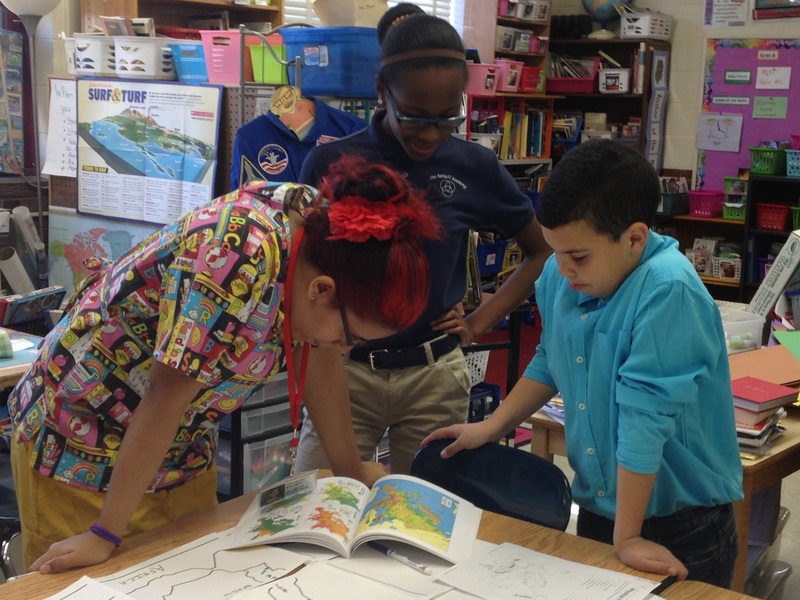 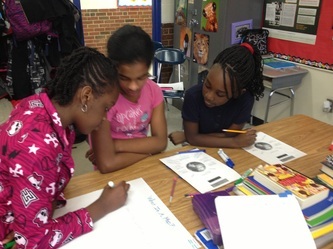 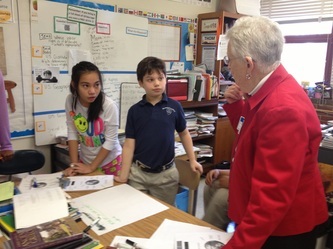 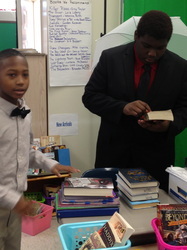 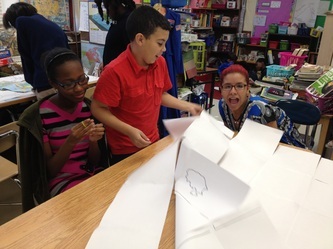 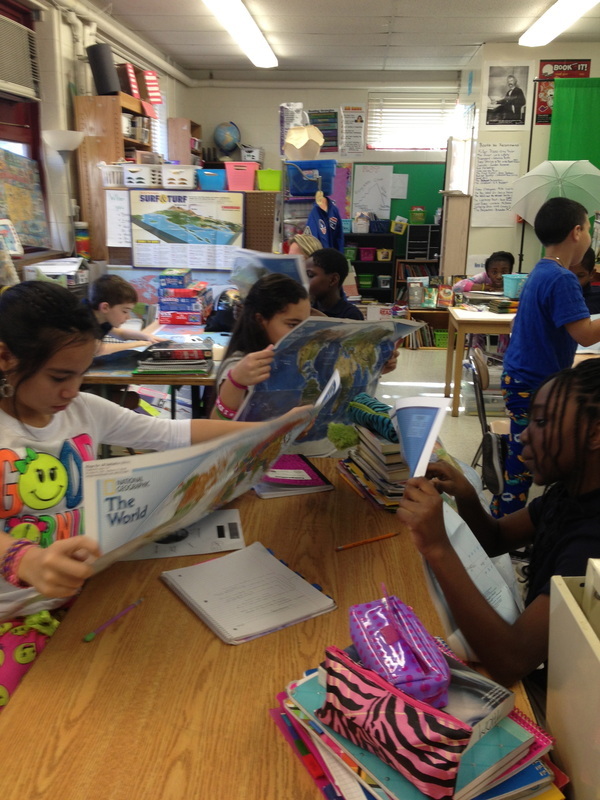 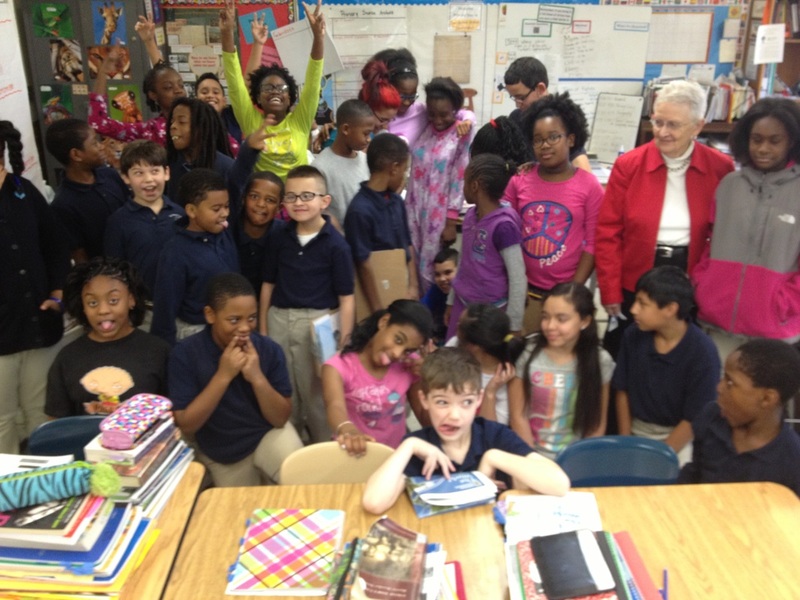 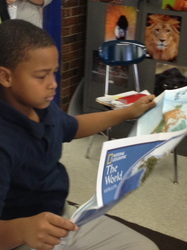 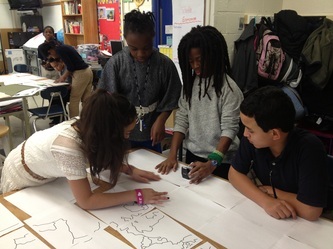 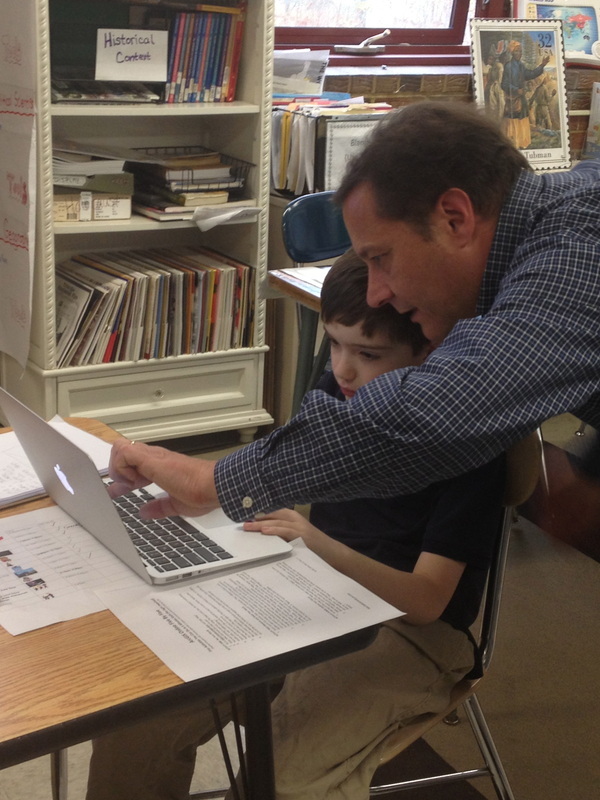 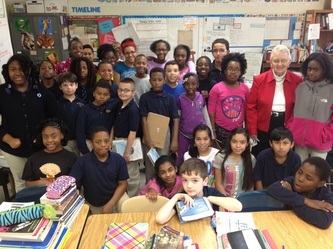 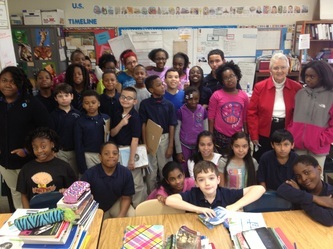 Students participate in various geography activities to celebrate awareness for this important topic. 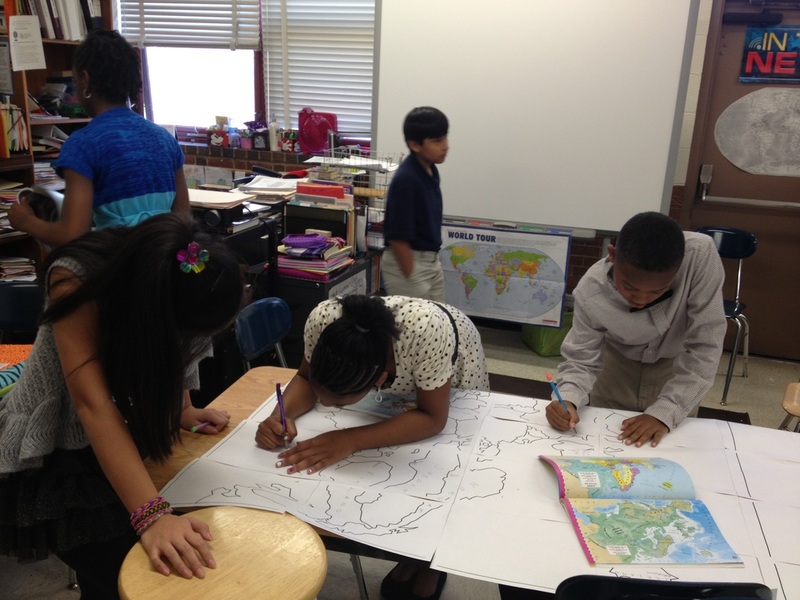 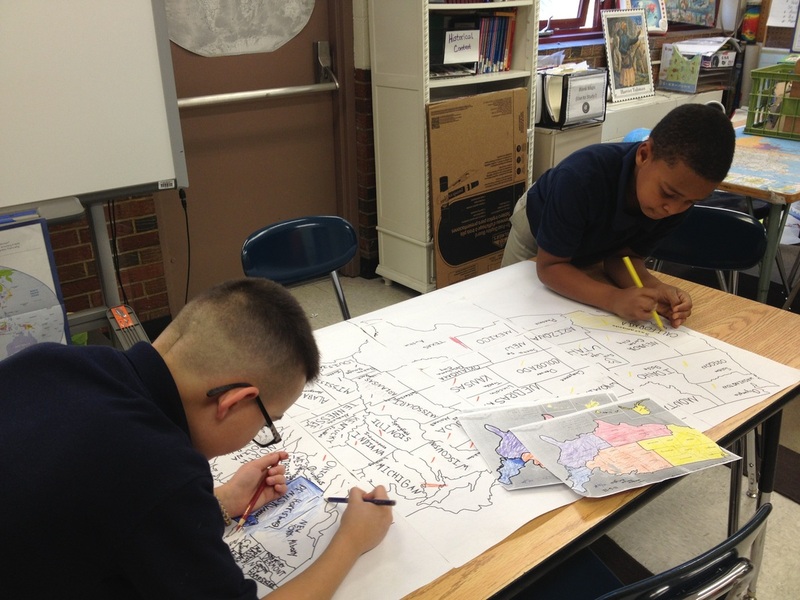 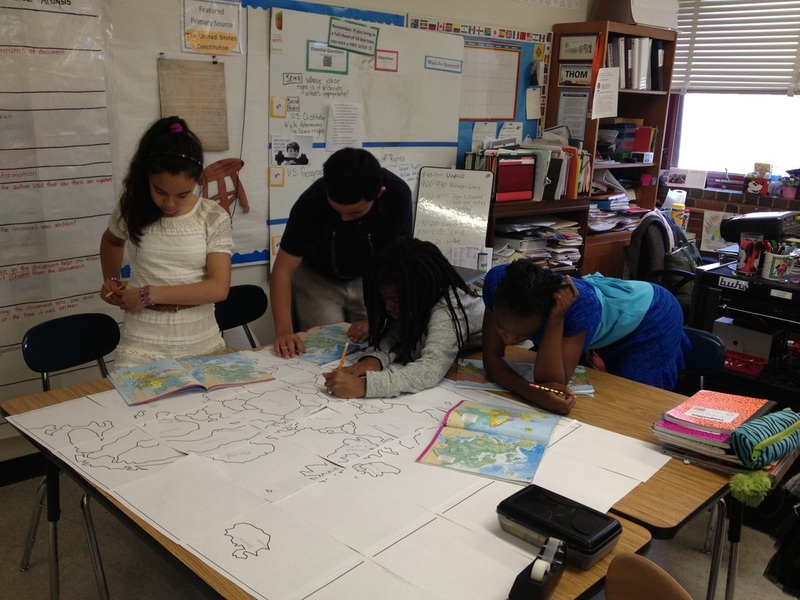 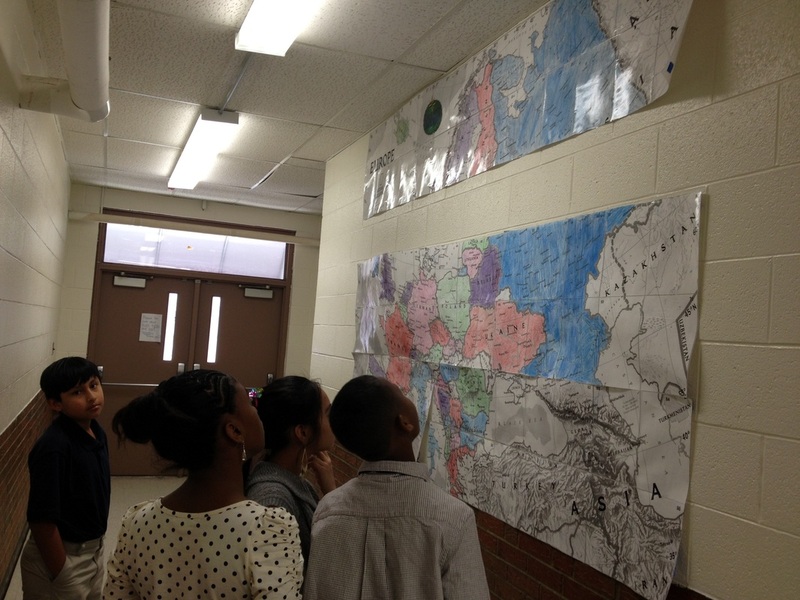 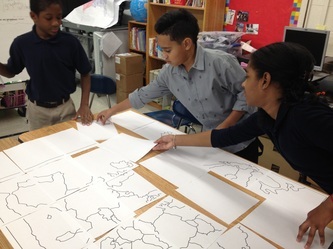 5th graders create wall maps of South America. 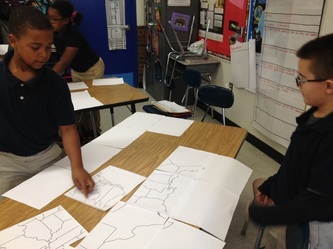 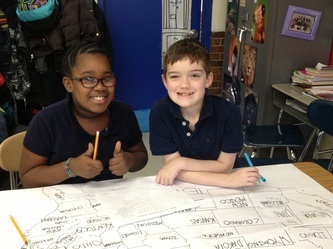 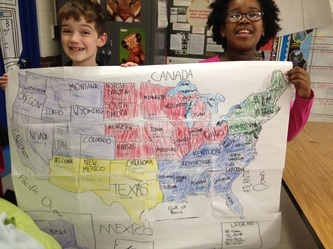 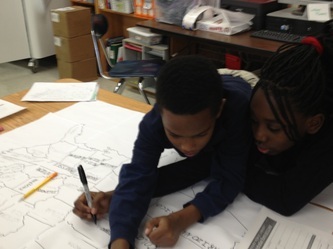 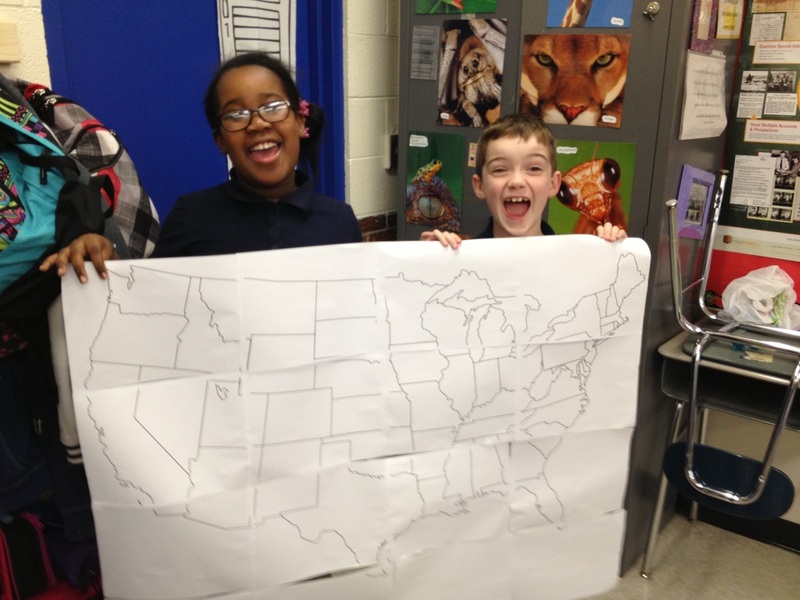 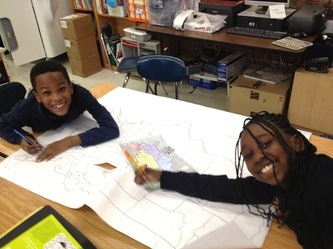 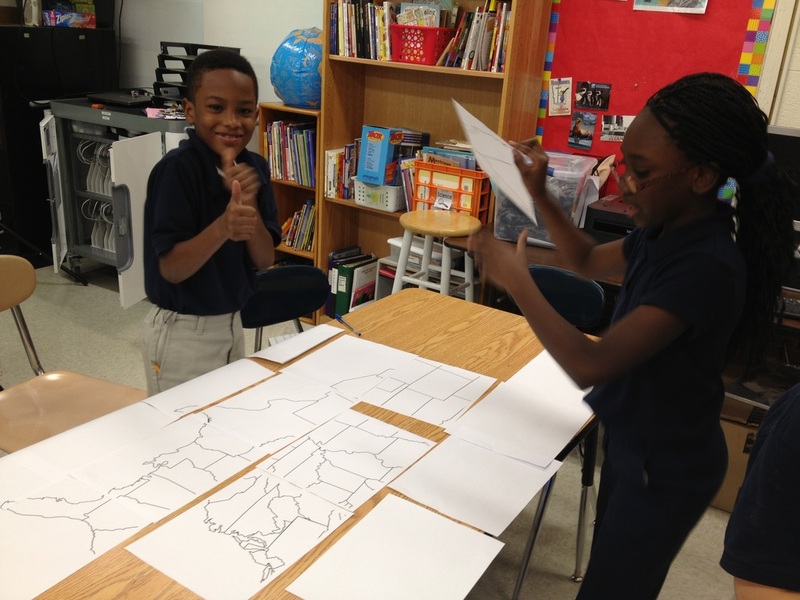 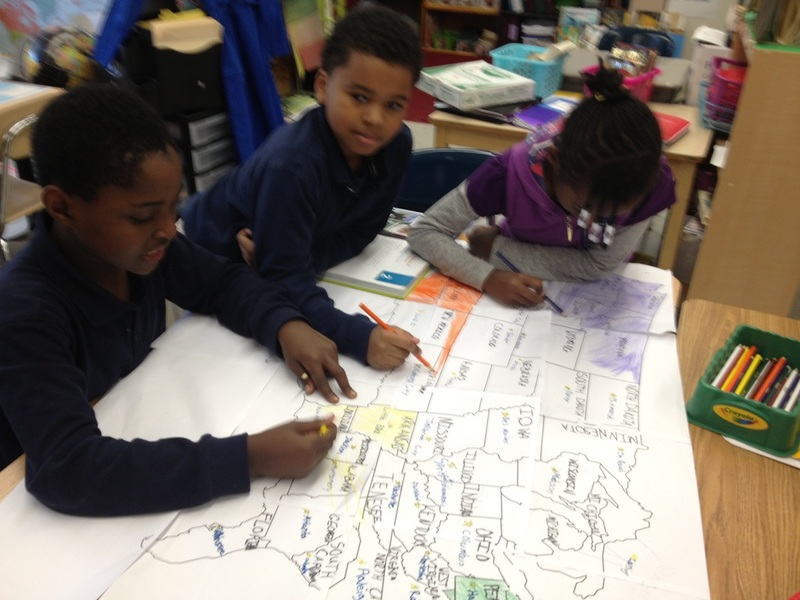 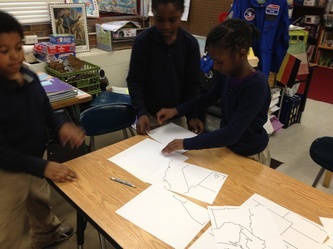 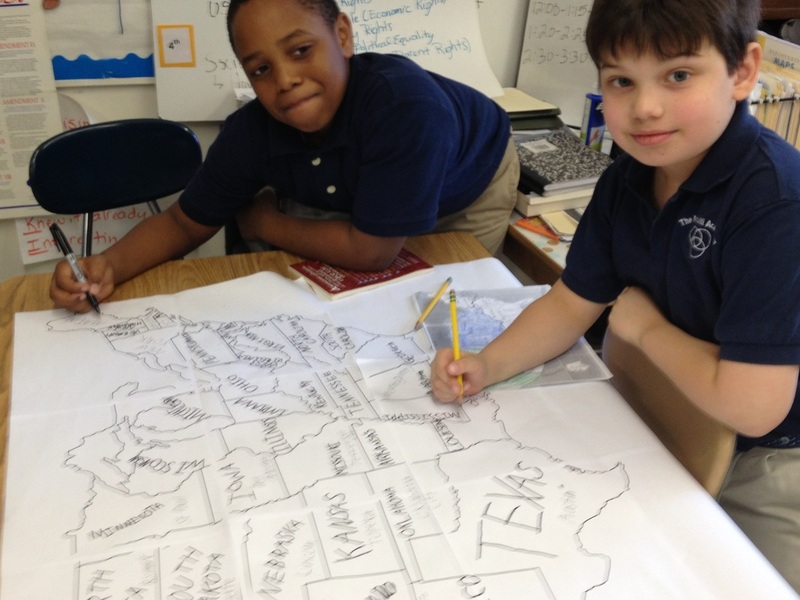 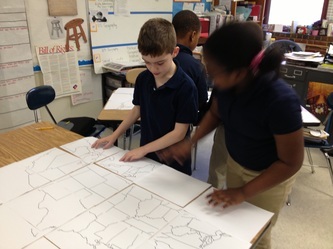 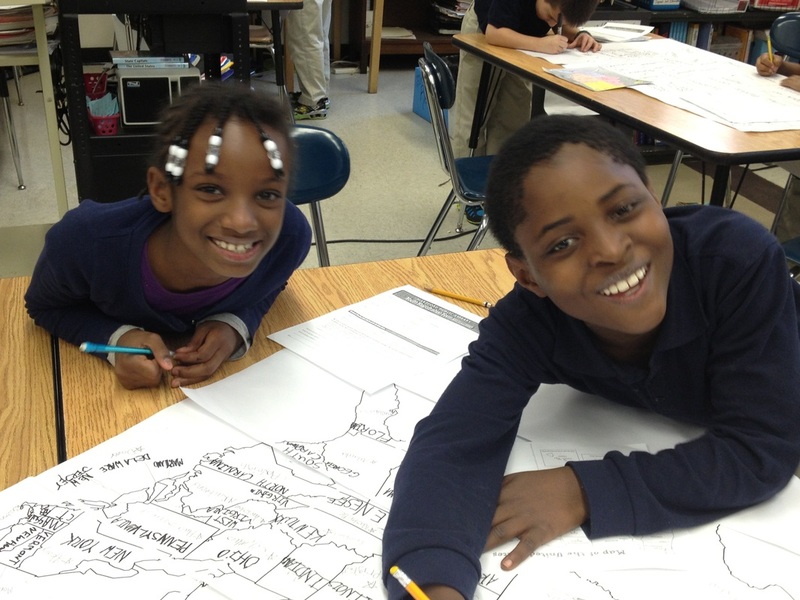 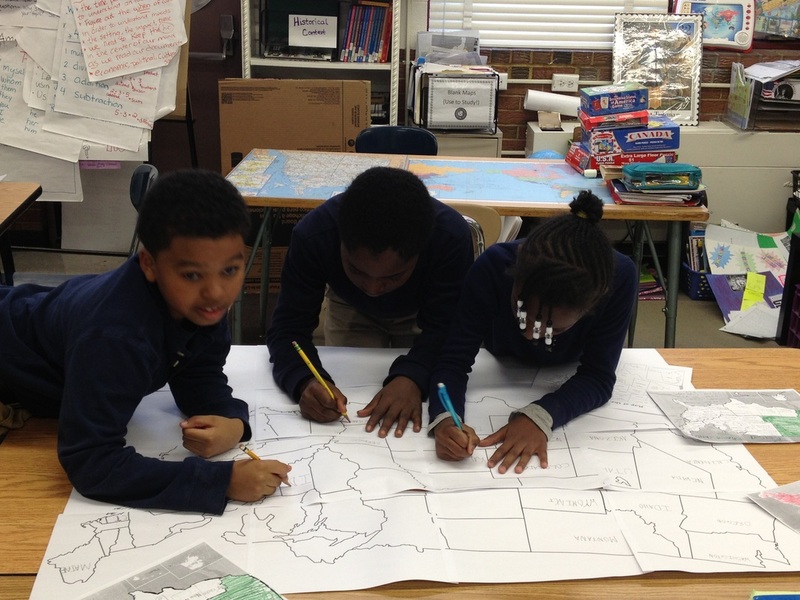 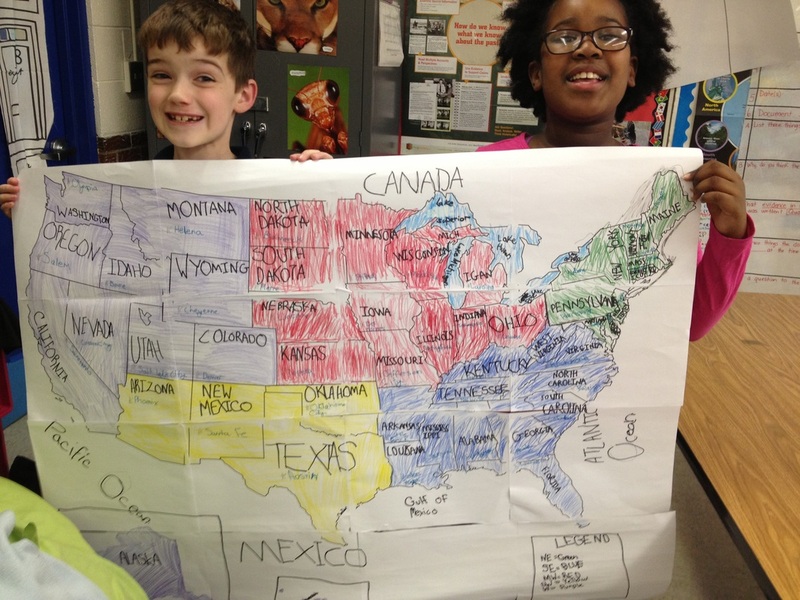 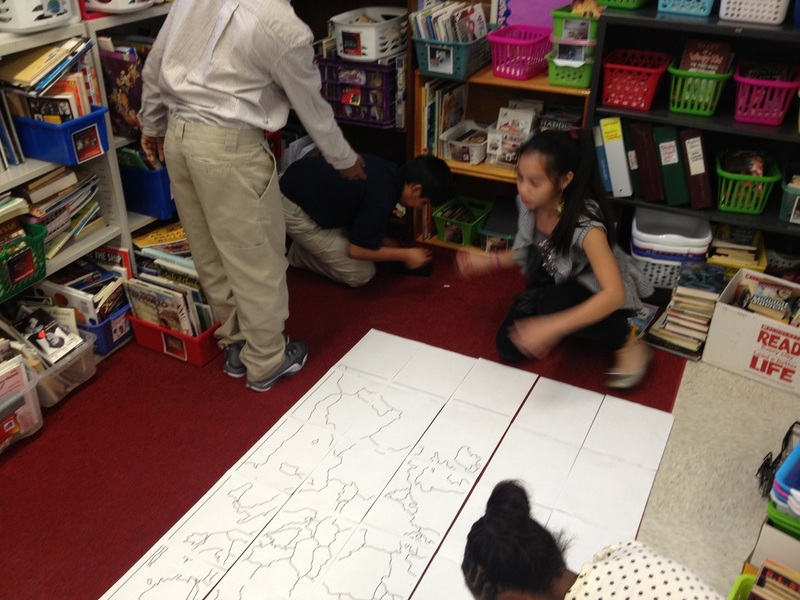 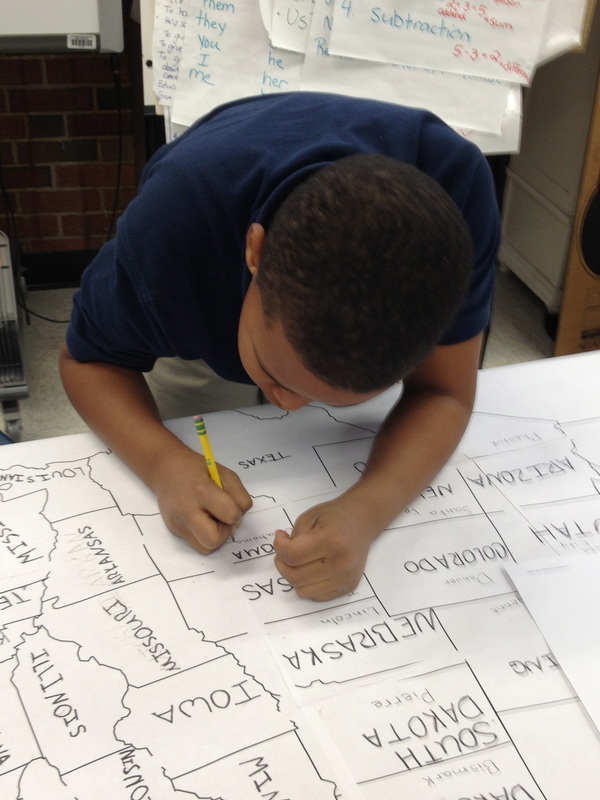 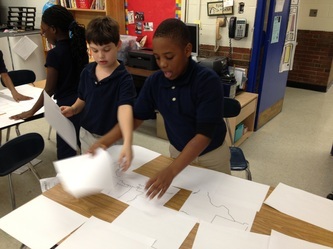 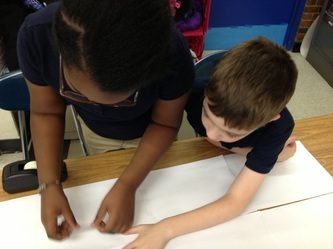 4th graders created maps of the United States. They are learning about the regions of the U.S. so they labeled the states and capitals and then color-coded the 5 regions. 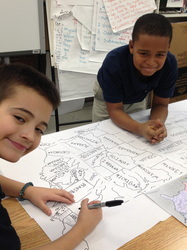 Students needed to create a legend and inset maps for Alaska and Hawaii. 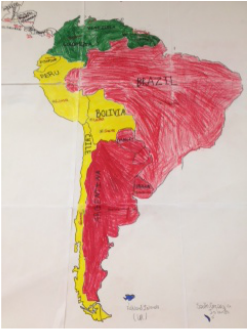 5th graders created maps of South America. 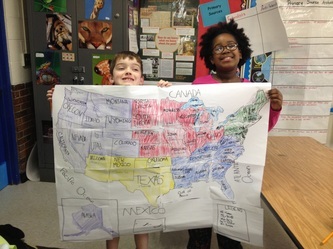 They are learning the political geography and regions of Central and South America so they labeled the countries, capitals, as well as color-coded the 3 regions of South America. 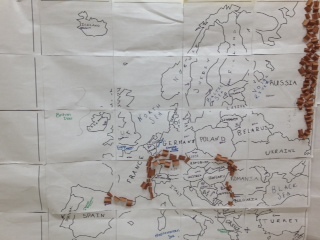 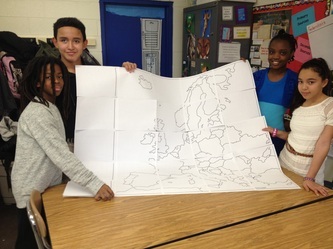 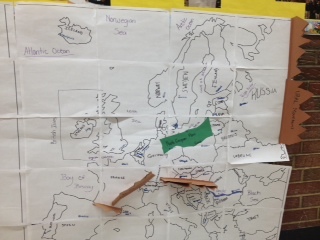 6th graders are learning about the physical features of Europe. 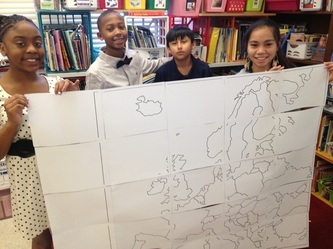 They created maps of Europe and labeled the countries and the capitals. Then, they needed to label 15 specific physical features and make at least two of them 3-D on their maps! 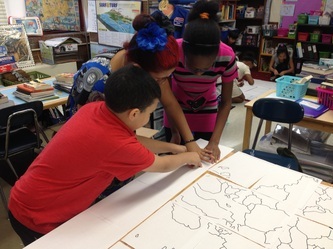 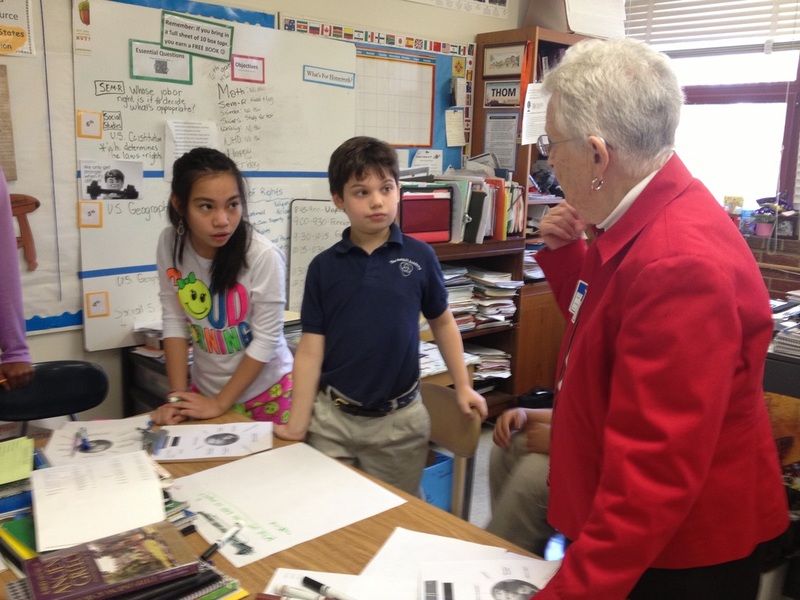 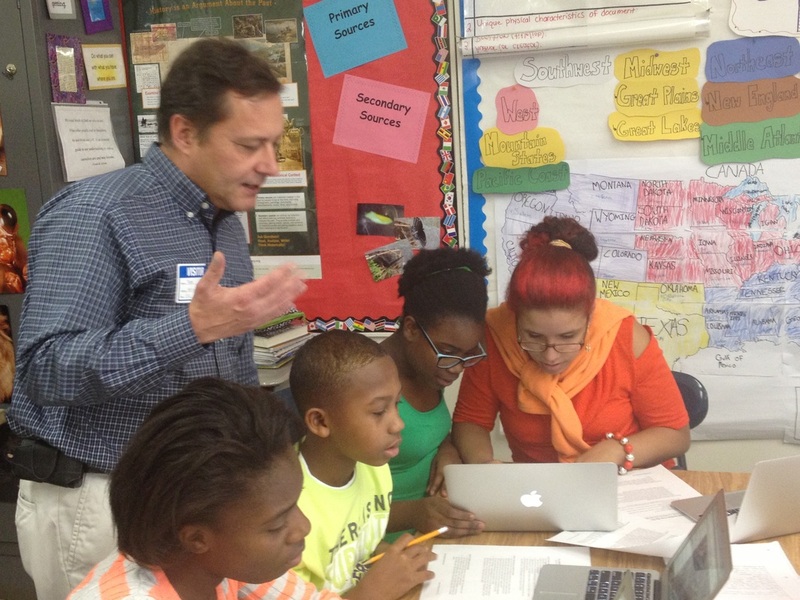 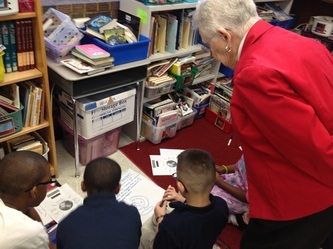 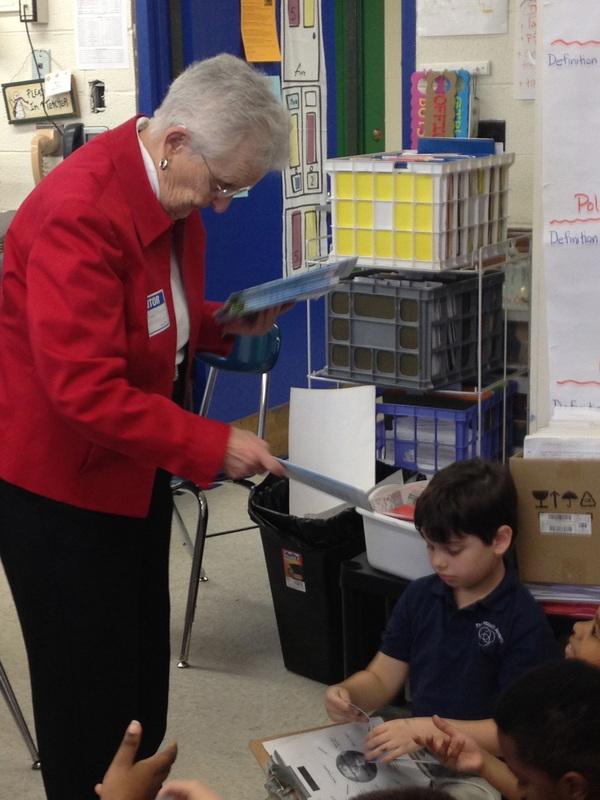 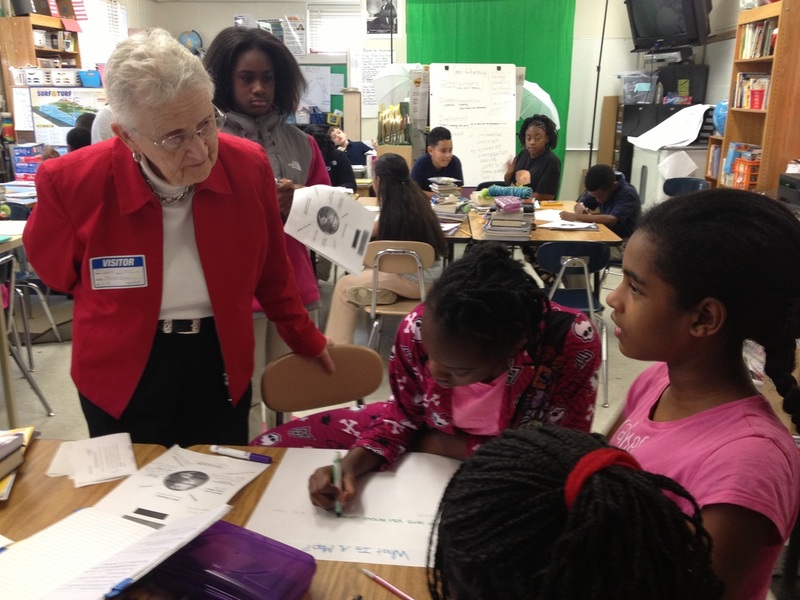 Dr. Lou Loomis leads a jigsaw activity where students consider a variety of geographic ideas. 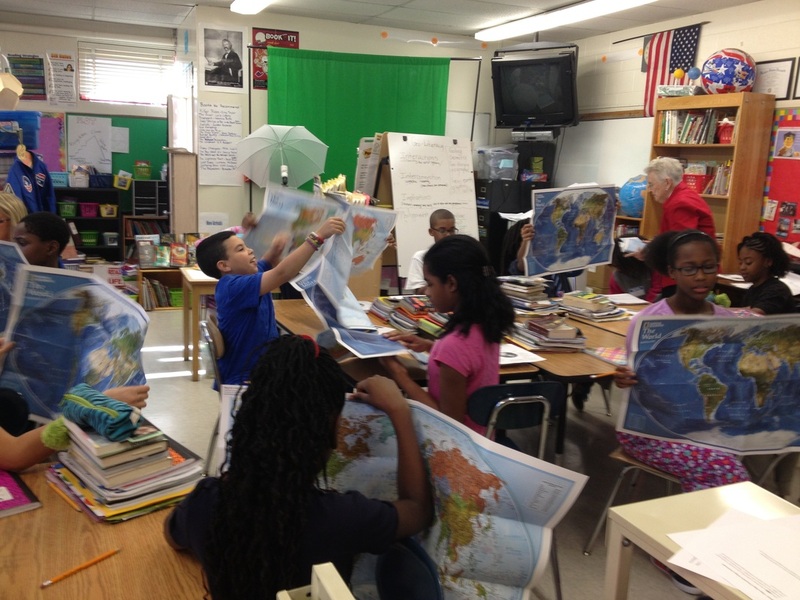 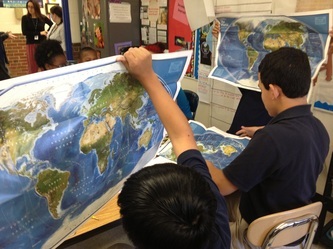 Each student is presented with a world map at the end! 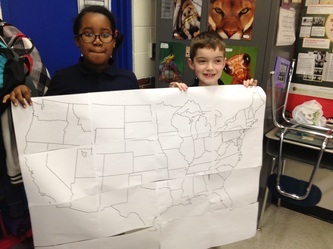 What are some kind of maps? 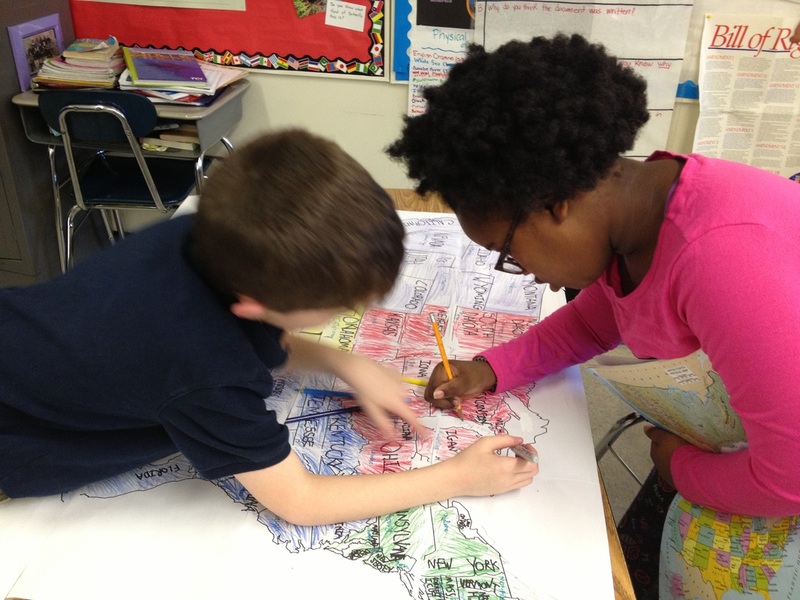 Where do you see maps in your everyday lives? 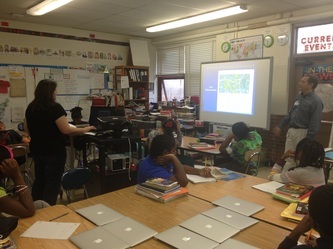 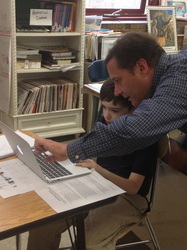 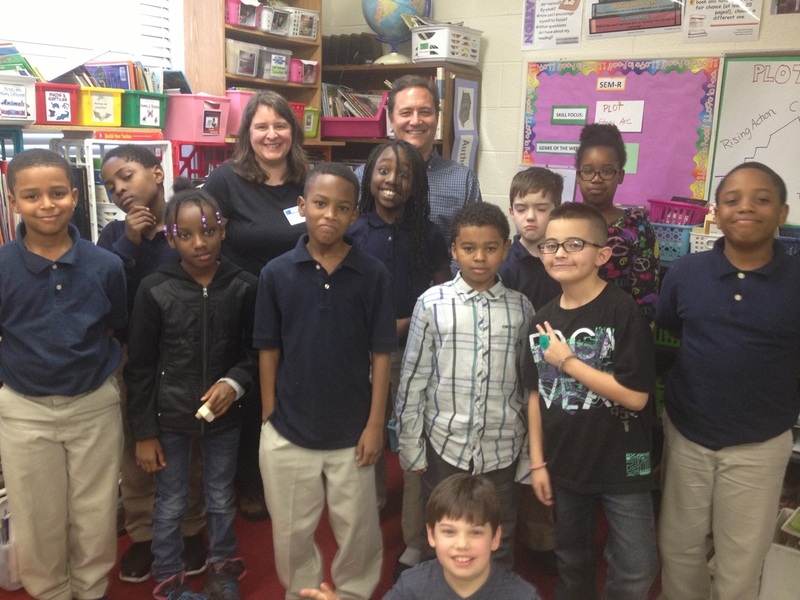 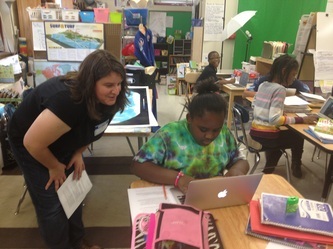 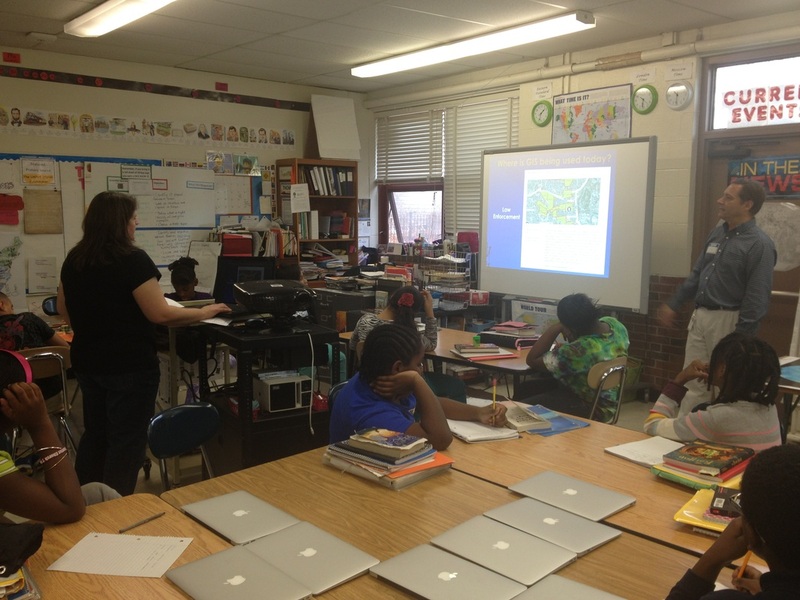 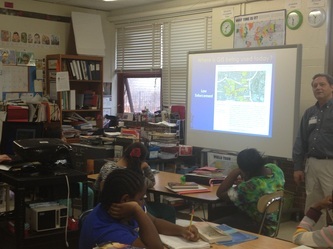 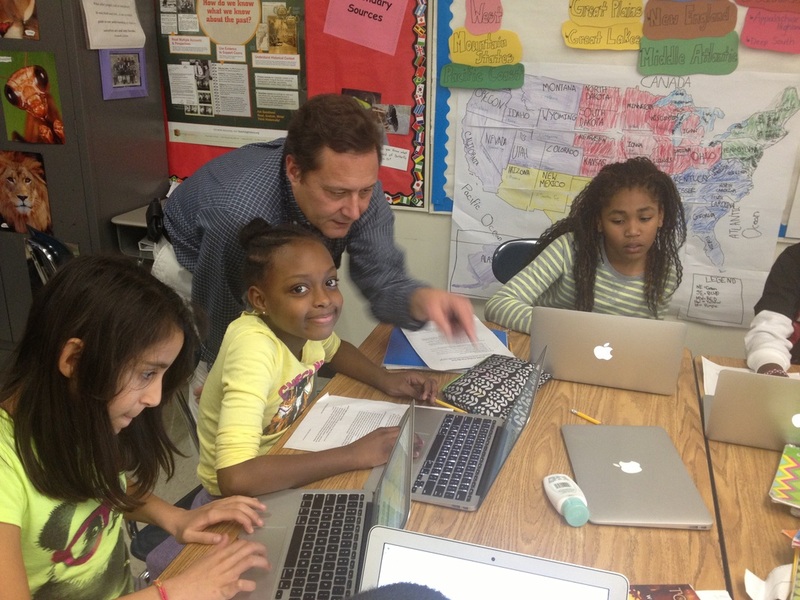 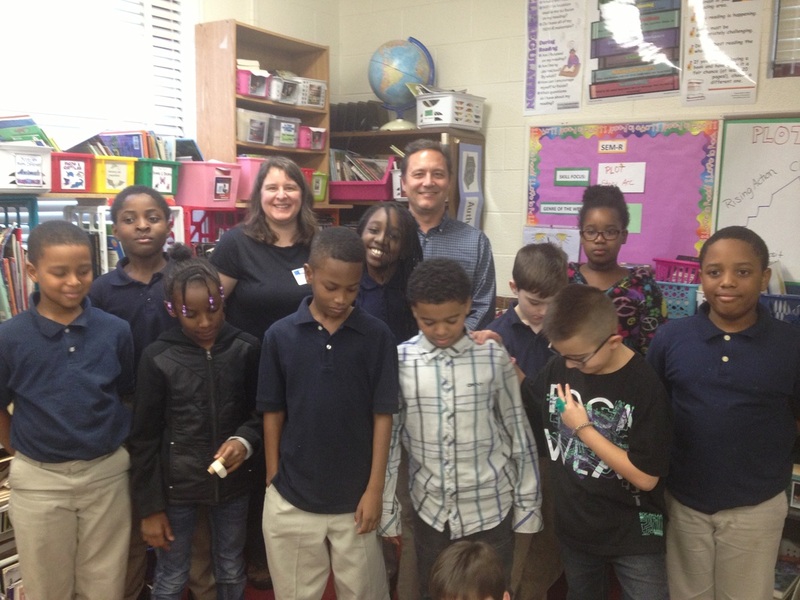 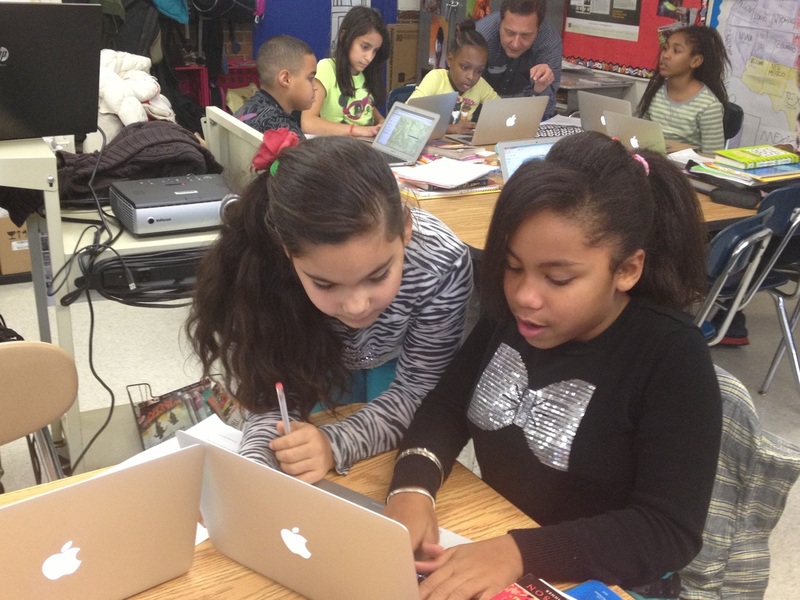 Students learn about GIS from Brett Flodine and have an opportunity to explore the ESRI mapping website. 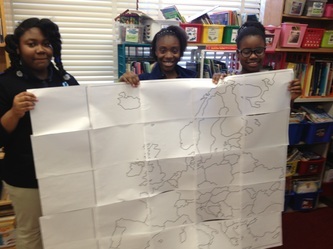 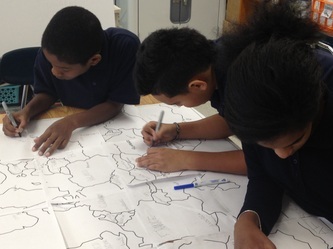 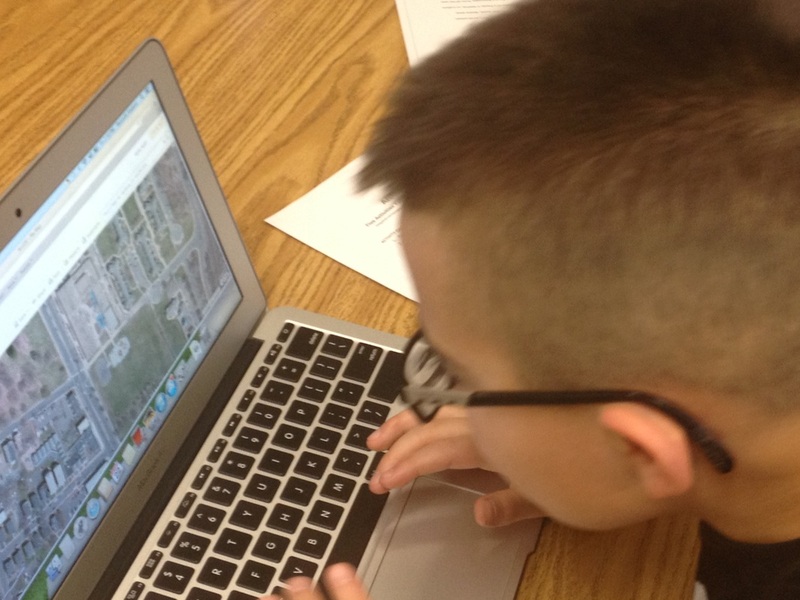 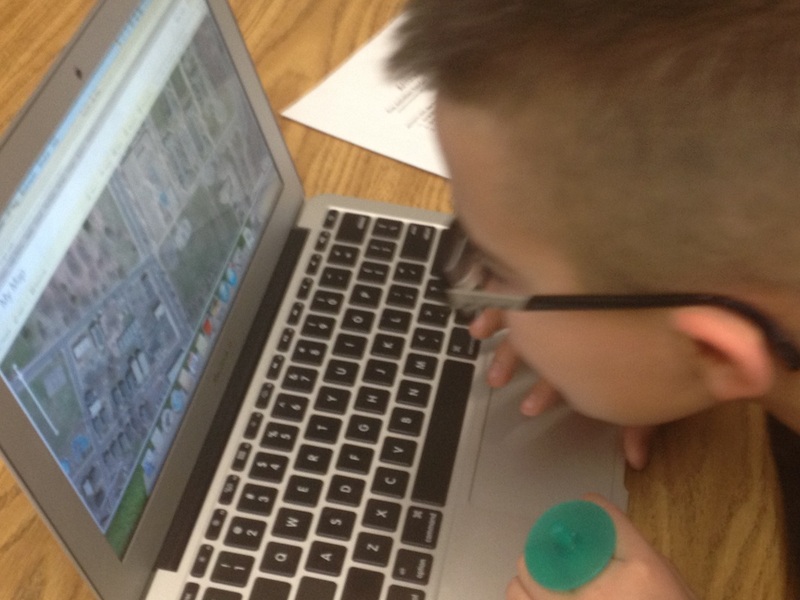 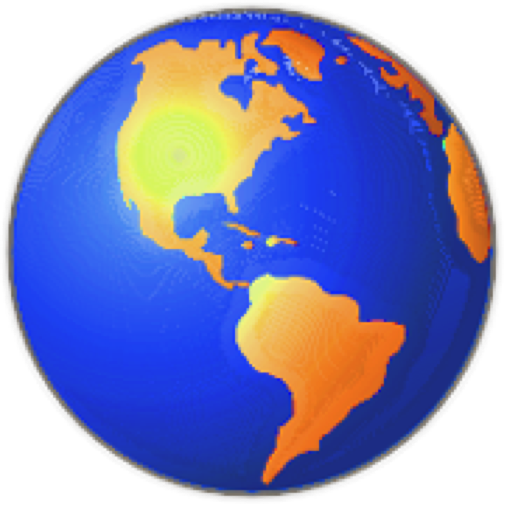 Students used the ArcGIS website to create their own map. 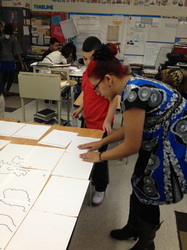 They completed the activities in the file below to learn more about the tools of the online tool.